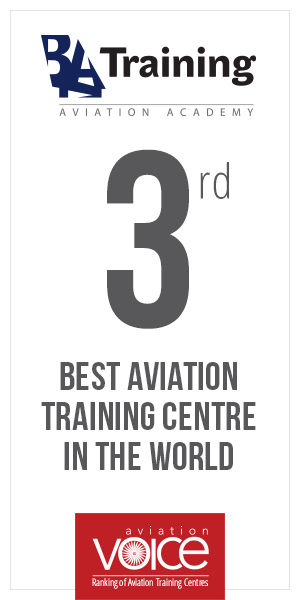 Baltic Aviation Academy would like to tell you a story. A story about a man who never gave up on his dream. Who went through all the ‘ups’ and ‘downs’ toward one goal – to become a professional pilot. As most true aviators, Vitas Kanaporis has developed his passion for aviation in early childhood. Living close to the airport and watching Soviet Army’s Il-76 aircraft has helped him realize, that aviation may be and should be his future. That is why immediately after graduating high school, Vitas joined military pilots’ school and from 1989 till 1991 flew the L-39. After his duty in the army had come to an end, Vitas faced the fact that his knowledge was not applicable in the current job market. So with the falling Soviet Union, dream to continue flying slowly started to fade away. ‘There were simply no possibilities to adapt flying skill and knowledge’s gained during army, so I had to choose something else’, comments Vitas. In 1992 Vitas started Transport Engineering bachelor studies, then received his master degree and began working as an engineer in various companies. Yet, he never gave up on his dream to continue flying. In 2006 Vitas learned that in order to become a pilot you do not necessarily need airlines support. As a result of that, he quit his job as engineer at pharmaceutical company and entered pilot training academy. Unfortunately years spent operating aircraft in army could not be used as an advantage anymore, so Vitas started his pilot training from the very beginning. Private Pilot License, Commercial Pilot License, ATPL studies and 200 hours of flight training took 2.5 years of his time and devotion, which have been rewarded with a job at one of Lithuanian airline. Here Vitas gathered 2240 flight hours as the first pilot of Focker 50. Unfortunately after some time, due to the cuts on the airline fleet and personnel, Vitas have lost his job, and once again returned to the starting point. It was until he found out about Baltic Aviation Academy. With excellent recommendations from his aviator friends, Vitas decided to enter Baltic Aviation Academy and pursue his dream by gaining Boeing 737 CL type rating training. ‘I chose Baltic Aviation Academy relying on many factors: positive recommendations from friend-pilots, strategic location of the academy and balance between price and quality. I should say that I was mostly impressed by Baltic Aviation Academy’s demanding and devoted instructors, and I am very thankful for their input in to my career,’comments Vitas Kanaporis. By taking one of Baltic Aviation Academy’s special offers for pilot training, Vitas gained Boeing 737 CL (B737 300 – 500) type rating followed by the base training. After successful completion of the training, Baltic Aviation Academy managed to provide Vitas with pilot assessment at one of partner airline. Vitas flight skills and suitability for pilot position had been evaluated by experts and because of the great results that Vitas showed, he has been offered a job at one of the Baltic Aviation Academy’s partner airlines. ‘Being unemployed gave me some time to analyze aviation job market, and I am very glad to be able to seize the given opportunity and become a pilot in demand. I always dreamt of becoming a commercial aviation pilot and with the help of Baltic Aviation Academy I achieved my dream’, shares his thoughts Vitas Kanaporis.